Inhalants are commonly known as any vapors or fumes which can cause a form of intoxication on the person who breathes them in an enclosed space. Paint, glues, and cleaning fluids are some of the more common types of inhalants that are used for intoxication. Whatever is inhaled, the symptoms are very similar and include a sense of euphoria, dizziness, slowed reflexes and an overall lethargic state of being. Knowing more about the symptoms and dangers of inhalant intoxication will make the decision about getting treatment for inhalant abuse a little easier. From the actual destruction of the brain to the things that can happen when under the influence of inhalants, there are many dangers to this cheap way to "get high." Short and long term damage are possible when inhalants are abused. Not only are there dangers to the person inhaling, there are many difficulties that the people around them will have to face. The negative effects of inhalant intoxication go far and wide. The good news is that on GoMentor.com, you can book sessions with trained therapists who can help with the side effects of too much inhalant intoxication. The road to recovery from an addiction to inhalants is a long and difficult one, but with the right treatment, there is hope. With guided, online therapy and counseling, therapists on GoMentor.com offer the chance to get control of your life back. Depending on how long you have been "huffing" the treatment may vary, but the important thing to remember is that there is help available. 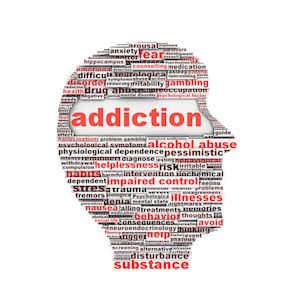 Behavioral modification therapy and counseling for the other problems that may crop up when you stop using inhalants are just two of the ways therapists on GoMentor.com can help you with getting over your addiction to inhalant intoxication once and for all.